Luckily for CERN, the ALCF already operates some of the world’s most powerful supercomputers for science, and the facility is in the midst of planning for an upgrade of its own. In 2021, Aurora—the ALCF’s next-generation system, and the first exascale machine in the country—is scheduled to come online. It will provide the ATLAS experiment with an unprecedented resource for analyzing the data coming out of the LHC—and soon, the HL-LHC. “If we understand what's going on, we should be able to simulate events that look very much like the real ones,” says Tom LeCompte, a physicist in Argonne’s High Energy Physics division and former physics coordinator for ATLAS. “And if we see the data deviate from what we know, then we know we're either wrong, we have a bug, or we've found new physics,” says Childers. 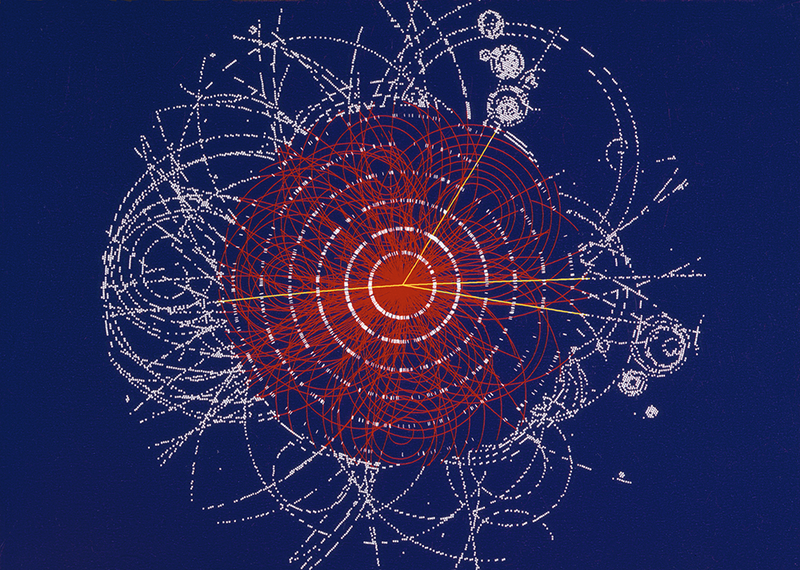 Top: This track is an example of simulated data modeled for the ATLAS detector at CERN's Large Hadron Collider. 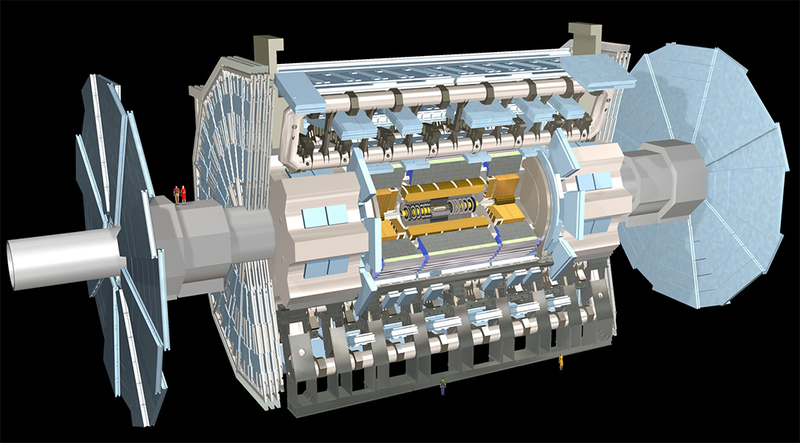 Bottom: A diagram of the ATLAS detector, which stands at 82 feet tall and 144 feet long. Protons enter the detector from each side and collide in the center.